This has been viewed a lot today so I thought I’d re-share it, it was quite popular when I first wrote it back in 2013, hope you find it useful again. Stress is defined as an organism’s total response to an environmental condition or stimulus, also known as a stressor. Stress typically describes a negative condition that can have an impact on an organism’s mental and physical well-being. Cortisol is released in response to stress, sparing available glucose for the brain, generating new energy from stored reserves, and diverting energy away from low-priority activities (such as the immune system) in order to survive immediate threats or prepare for the exertion of rising to a new day. However, prolonged cortisol secretion (which may be due to chronic stress) results in significant physiological changes. I’m just not very creative mummy….. So baby girl sat next to me today at the craft table at the home ed group we attend. 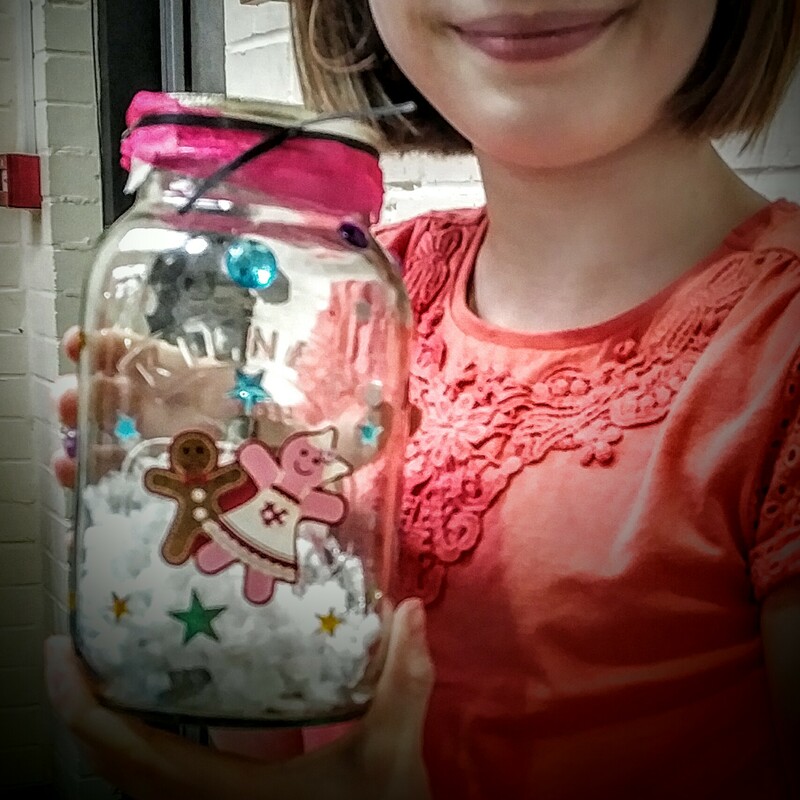 ‘I’m just not very creative mummy’ she said to me, whilst coming up with an idea and making a snow globe with no input from me at all! Honestly, I can’t tell you how well Home Education is working for these girls of mine! They’re flourishing! So this is middle girl, well, not all of her, just her feet! Aside from noticing her odd shaped toes (I have a foot ‘thing’, they’re all gross, yes even yours! 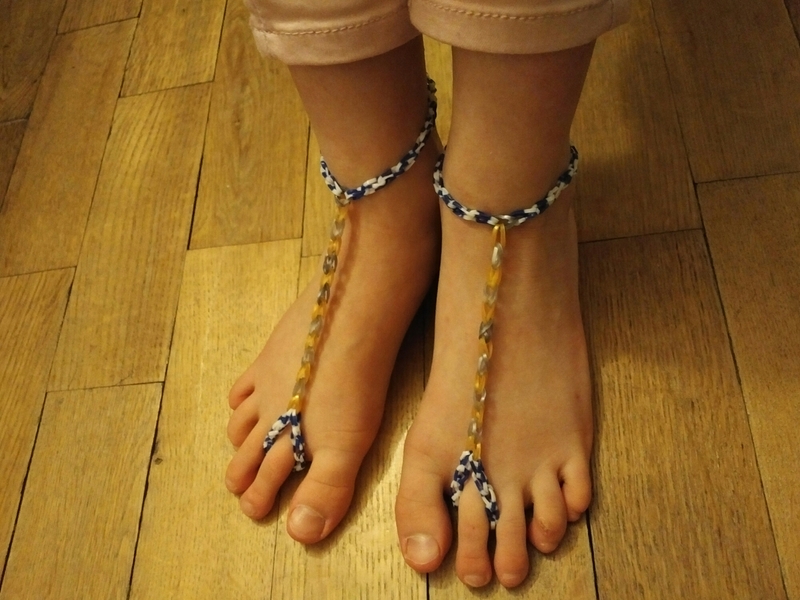 ), you will also be able to see her amazing Loom Band creation! (I hate loom bands too!!). Pretty impressive huh! Especially given her language, memory and processing difficulties! Feeling very proud right now!